From #1 New York Times bestselling author Gabrielle Bernstein comes a clear, proactive, step-by-step process to release the beliefs that hold you back from living a better life. This six-step practice offers many promises. Petty resentments will disappear, compassion will replace attack, the energy of resistance will transform into freedom and you’ll feel more peace and happiness than you’ve ever known. I can testify to these results because I’ve lived them. I’ve never felt more freedom and joy than I have when writing and practicing these steps. My commitment to healing my own relationship to judgment has changed my life in profound ways. My awareness of my judgment has helped me become a more mindful and conscious person. My willingness to heal these perceptions has set me free. I have been able to let go of resentments and jealousies, I can face pain with curiosity and love, and I forgive others and myself much more easily. Best of all, I have a healthy relationship to judgment so that I can witness when it shows up and I can use these steps to quickly return to love. 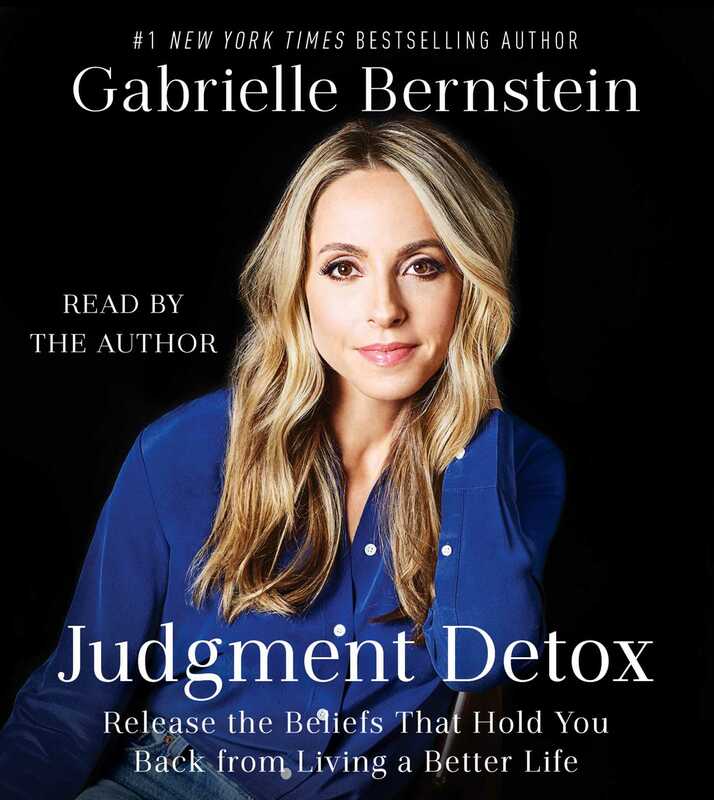 Gabrielle Bernstein is the #1 New York Times bestselling author of The Universe Has Your Back as well as Miracles Now, May Cause Miracles, Add More Ing to Your Life, Spirit Junkie, and Judgment Detox. She was featured on Oprah’s SuperSoul Sunday as a “next-generation thought leader” and the New York Times named her “a new role model.” She appears regularly as an expert on The Dr. Oz Show and co-hosted the Guinness World Record largest guided meditation with Deepak Chopra.